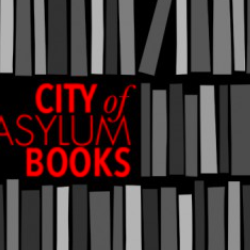 In conjunction with the eighth annual Jazz Poetry Concert, City of Asylum/Pittsburgh presents Writers in the Garden, a celebration of local poets and the Northside community. Curated by Sheryl St. Germain, the event takes the audience on a walking tour from garden to garden. 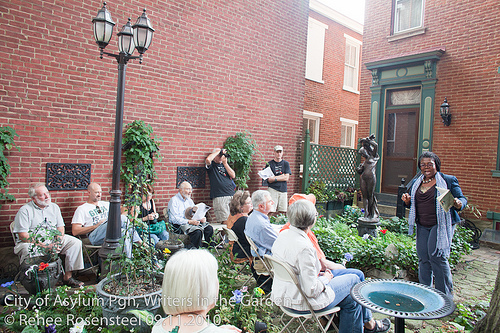 At each garden participants are able to enjoy a brief reading and Q&A with Pittsburgh-based poets. This year Writers in the Garden presents six poets who include Christopher Medal-winners, Pushcart Prize-nominees, and NEA Fellows. 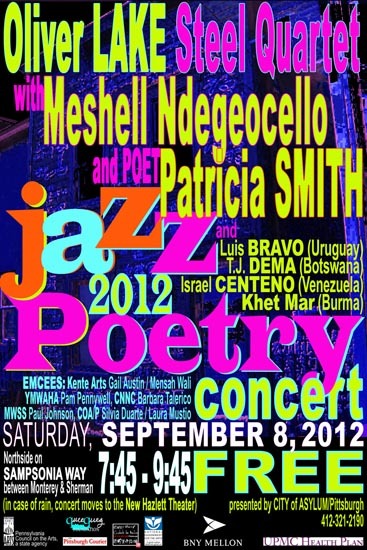 Writers in the Garden will be held on September 8th. Read below for more information about the poets. Dilruba Ahmed is the author of Dhaka Dust (Graywolf, 2011), winner of the Bakeless Literary Prize for poetry awarded by the Bread Loaf Writers’ Conference. Her poetry has appeared in Blackbird, Cream City Review, New England Review, New Orleans Review, and Indivisible: Contemporary South Asian American Poetry. A writer with roots in Pennsylvania, Ohio, and Bangladesh, Ahmed holds Bachelor of Philosophy and MAT degrees from the University of Pittsburgh and an MFA from Warren Wilson College. She has taught at Chatham University’s Low-Residency MFA program. Sally Alexander is the author of eight award-winning books for children and teens. Her memoir Taking Hold: My Journey into Blindness won a national Christopher Medal for affirming artistic excellence and for the highest values of the human spirit. Six of her books have been Junior Library Guild selections. She has published many personal essays, several articles, and monographs. Becoming blind at 26, Sally has many speaking engagements that focus on the writing process, but also on living richly and fully despite our difficulties. Lori Jakiela is the author of the memoir Miss New York Has Everything and three poetry chapbooks—The Mill Hunk’s Daughter Meets the Queen of the Sky, Red Eye and The Regulars. Her essays and poems have been published in The New York Times, The Washington Post, The Chicago Tribune, The Pittsburgh Post-Gazette, and elsewhere. Her recent awards include a Golden Quill for column writing from the Pennsylvania Newspaper Association (2010) and Gulf Stream Magazine’s Creative Nonfiction Prize (2009). She teaches in the undergraduate writing program at the University of Pittsburgh at Greensburg. Heather McNaugher is the author of System of Hideouts (2012). She teaches poetry, nonfiction, and literature at Chatham University, and is the poetry editor of The Fourth River. Her work has appeared in 5 A.M., The Bellevue Literary Review, New Ohio Review, Leveler, and The Cortland Review, and on the radio show, Prosody. Her chapbook, Panic & Joy, was published by Finishing Line Press in 2008. Marc Nieson is a graduate of the Iowa Writers’ Workshop and NYU Film School. Excerpts from Schoolhouse: A Memoir in 13 Lessons have appeared in The Literary Review, Iowa Review, Green Mountains Review, and Chautauqua. Recent short fictions appeared in Conjunctions, won the 2008 Raymond Carver Short Story Contest, and was nominated for a Pushcart Prize. Award winning feature-length screenplays include The Speed Of Life, The Dream Catcher, and Bottomland, as well as the short film What Green Could Be. He serves on the faculty of Chatham University. Sheryl St. Germain directs the MFA program in Creative Writing at Chatham University. 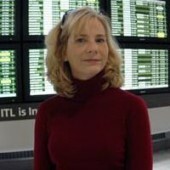 Her work has received several awards, including two NEA Fellowships. Her poetry books include Making Bread at Midnight, How Heavy the Breath of God, and most recently Let it Be a Dark Roux: New and Selected Poems. She has also published a memoir, Swamp Songs: the Making of an Unruly Woman, and has a forthcoming collection of essays with Louisiana Literature Press. Most recently she co-edited, with Margaret Whitford, Between Song and Story: Essays for the Twenty-First Century with Autumn House Press. 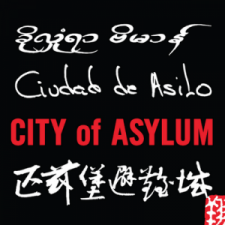 Writers in the Garden will take place the afternoon before City of Asylum/Pittsburgh’s Jazz Poetry Concert on September 8th. One Comment on "Writers in the Garden 2012"
We have so much poetic talent in our community. 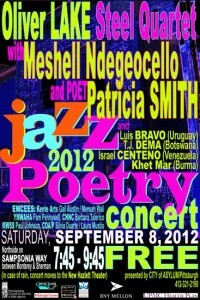 It is wonderful to know that there is an opportunity like this in which such creative literary minds can come together.